Are you an Independent Contractor? Maybe. Maybe not. 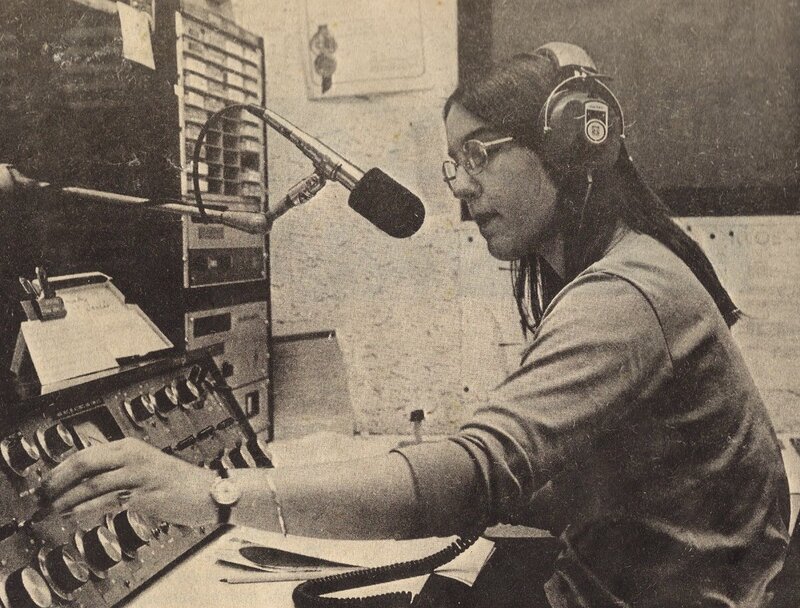 Early radio days – KCOE-FM. Their tools, their schedule. MY MIX! If you are not being paid W2 wages, then you may fall into the category of self-employed, freelance, or independent contractor. Or, you may simply be being paid incorrectly. If this is the case, then don’t be surprised when the red flag goes up and the IRS comes knocking. Self-employed person (architect, consultant, engineer, etc.) who provides certain services to a second-party called the principal (or client or owner), or to a third-party on behalf of the client. An independent contractor is not under the control, guidance, or influence of the client and, unlike an employee, does not owe a fiduciary duty. The client neither deducts the payroll (or the withholding) taxes from payments to the independent contractor, nor contributes the employer’s share. To be legally designated as an independent contractor, an individual must (1) be free from the control of the client, (2) be able to exercise his or her judgment as to the manner and methods to accomplish the end-result, and (3) be responsible for the end-result only under the terms of the contract. The client is not responsible to the third-party for the actions or torts (civil wrongs independent of contracts) of the independent contractor unless the client (explicitly or implicitly) has authorized them, or where the actions of the independent contractor are (more or less) controlled by the client. Some people THINK they are independent contractors when they possibly aren’t. The IRS has some specific guidelines that might help you stay under their radar if you are working job to job and filling out a Schedule C. Or if you are hiring people and want to avoid an audit with potential fines and penalties. Ask yourself a few questions. There are a lot more than this, but these three questions get to the heart of the issue. When you are hired for a job, does the person hiring you have the right to control the result of your work, but not the means and methods to achieve it? Who has control over when and where you work? Who provides the tools you are using? Most of my production career I have worked both as an Independent Contractor and an Employee at various times. Staff Announcer at a TV station – Employee (union contract, W-2 wages) I went there at specific times and used their equipment. Video production producer – Independent Contractor. I worked for various companies on my own (or jointly negotiated) time and determined the schedule and duties for other people. Scriptwriter – Independent Contractor. My tools, my time, my process to achieve a result. Radio DJ – Employee (non-union, W-2 wages) Again, I went to the station when they told me and used their equipment. Teacher – Independent Contractor (personal private seminars with a partner and without) My experience, my time, my process. Teacher – Employee (union contract, W-2 wages) Although I use my process and experience as the basis for this work, my schedule is set by the college and the location and the equipment is provided. Staff Producer/Writer/Talent – Employee (non-union, W-2) Full-time staff position initially as a worker-bee, but then as a supervisor for a large government contractor. While our creative department wasn’t regimented like most cubicle farms, we still needed to be there. My creative process was the same, but I didn’t get to pick my crew and they provided my computer and other tools. Voice Talent – sometimes Employee, sometimes Independent Contractor (union jobs are W-2, the vast majority of the other voice work I do is Independent Contractor). Voice acting today is very different than it used to be. Most of the work I do is on my own time, in my own space, with my own tools. Sometimes I will have a director on the line. On rare occasions I will go to someone else’s studio to record. Sometimes I will pay to go to a studio when I need specialized equipment, or when my equipment isn’t working (usually due to some snafu with the phone lines). On-camera acting is different. Unless you are picking your own wardrobe, using you own camera in your own studio and delivering the self-directed takes to the producer, you are (according to the IRS) most likely doing employee work. On-camera actors do pay for a lot of things out of their own pockets to improve their craft, but in the end, they show up on the set and are told where to stand and when to take a break. Sometimes the lines are pretty clear. But today’s voiceover talent is truly an independent breed of talent. We may have agents scattered here and there, but we have our own websites, our own expensive studios and related equipment (mics, computers, sound cards, mixers, and more mics). We have a business license and paid the fee for the fictitious name ad in the local newspaper. We spend hours marketing our services and honing our image. We spend money to have customized demos created that showcase our talents. We work to improve our craft taking classes and attending conferences that we pay for ourselves. We negotiate our rates. We send out contracts detailing what we will be doing and when. We send invoices. When invoices are not paid, we spend more time trying to get paid. What’s my point? Think about what you are doing and how you are doing it. No matter what your role is in a production, take a little time to visit the IRS site. While it is not specifically targeting the video production business, it has a lot of great resources to help you pinpoint whether someone is an employee or an independent contractor. No one wants to be audited. And if anyone can find a comprehensive guide specifically for the video and digital media production business, please post some links!